Organizing Challenge: Last One for the 2014 Resolution Challenge Month! Get Ready for the Holidays: What to do with the Gifts you Didn’t Love? What to do with that Wedding Dress…. 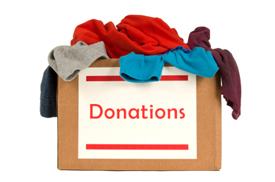 Donations to the right place: It doesn’t have to be difficult.